The NBA MVP race is always one of the most exciting aspects of the regular season and this year is no exception. We are blessed to be in one of the most successful eras of NBA basketball, bringing us a ton of great talent in each conference. Whilst veterans like LeBron James and Chris Paul appear to have declined this season, there are more than capable stars to fill their void. With the end of the regular season less than a month away, now is the perfect time to take a look at the contributions of the top players this season. 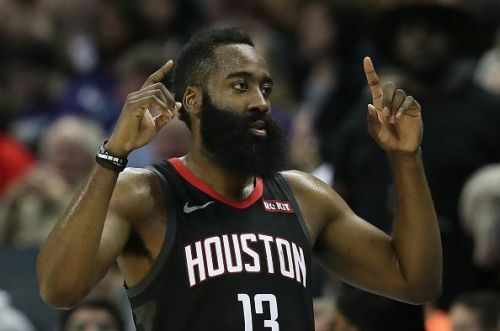 This article will take a look at the 5 most deserving players of the NBA MVP award, ranking them in order based on their seasons so far. Whilst he still receives undeserved disrespect from NBA media and fans alike, Kevin Durant has had a phenomenal season on the court. 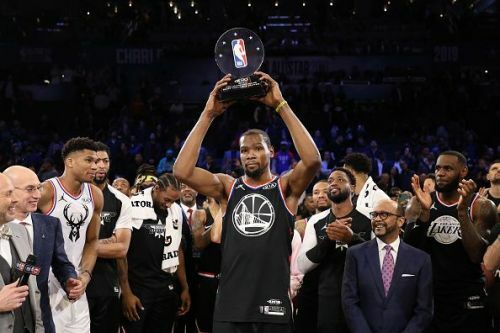 He has been the hallmark of consistency in another excellent season for the Golden State Warriors, who look very likely to win the West and NBA title again this season. His stat line has been remarkably well-rounded, averaging 27.2 points, 6.6 rebounds, and 5.7 assists each night. The assist numbers, in particular, are the best of his career, highlighting his willingness to move the ball as part of this great squad. Efficiency wise, he is still having a great season shooting the ball, averaging over 51% from the field and 88% from the Free Throw line. He has also more than done his part defensively, averaging over a block and just under a steal per game. Not to mention the fact that he is playing a very important role in one of the league’s best sides. Should Golden State win another title this season, you can bet Durant will have had a ton to do with it.